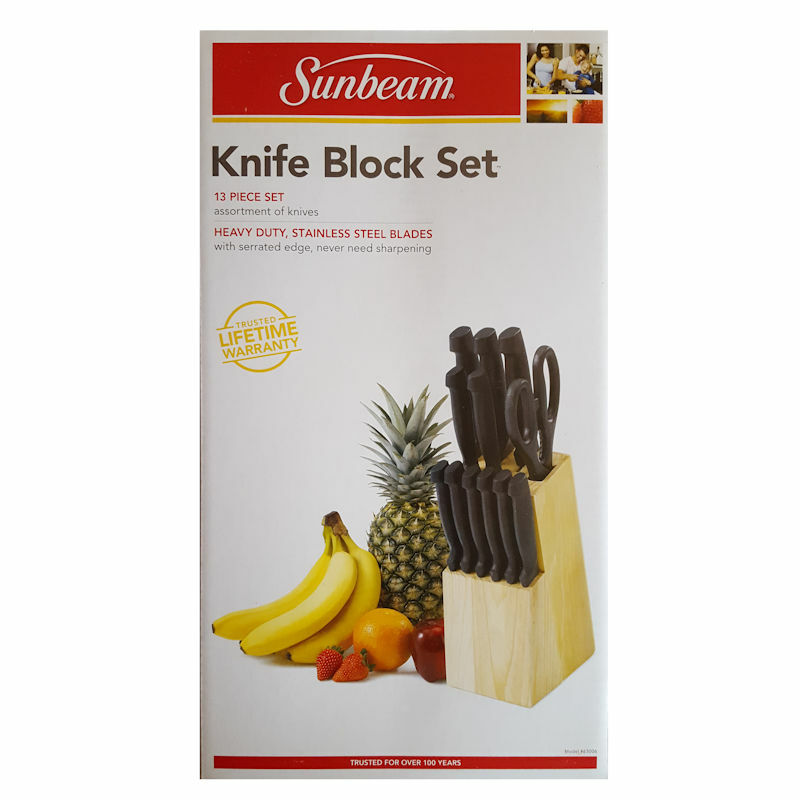 The Sunbeam Basic 13-Piece Knife Block Sets are perfect for furnished rental units and hospitality properties when needing affordable knife sets with shears and a storage block. Featuring a wide assortment of knives to meet prepping and cooking needs. A chef knife for chopping, a carving knife for meats, a fruit and vegetable knife, utility knife and pairing knife. Your clients and guest will have every blade they need. The pinewood block organizes all of the blades with a non-slip base to free up kitchen drawer space while neatly storing blades for convenient use. 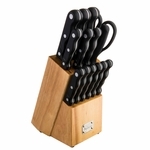 Available wholesale by the case of 4 knife block sets with Free Shipping on all orders. Sharp, serrated, stainless-steel blades with smooth, comfortable black handles. 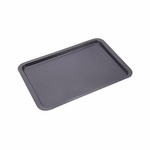 Pinewood Block with non-slip base for organization & easy of use. Measures approximately 15 by 8 by 13 inches. (1) 5 inch fruit & Vegetable Knife. Dishwasher-safe - High carbon stainless steel resist rust, stains & corrosion.